We are committed to supporting physicians throughout their career. 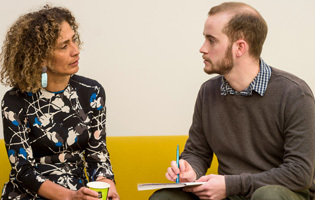 Enhance, the College’s new free mentoring for medics programme, creates a safe environment for clinicians to share their experiences, learn from each other and develop key professional skills. Enhance, mentoring for medics aims to help you, our Members and Fellows with your professional development by matching trained mentors with mentees. Research has shown the positive benefits of going through the mentoring process during periods of transition and other challenging times in your career. How can I benefit from having mentor? Discuss the challenges you're facing, and learn from the experiences of someone outside your daily working environment. How will I benefit from mentoring others? 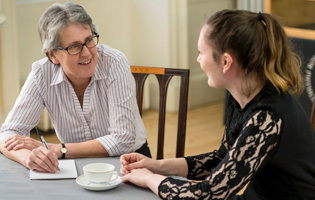 Receive valuable mentoring training which will develop and improve your own listening and communication skills which you can use in your day-to-day role. How does Enhance work and how do I join? The mentoring platform operates on a cloud based approach and includes matching tools with advanced matching algorithms. It helps find optimum matches and eliminates “unconscious bias”. You create your own relevant mentee or mentor profile, detailing your areas of work, skills and experience. The advanced algorithm will find the most appropriate matches for you. But you will have the final choice of who you are matched with to begin your mentoring journey. Join as a mentee for support during key times of transition in your career.